So this is what came out of the deal.... 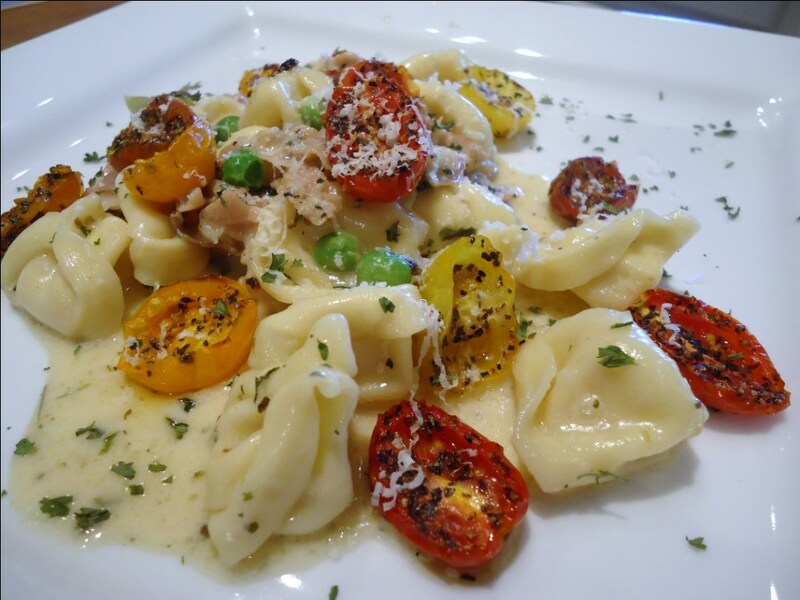 Cheese tortellini with prosciutto and peas in a light parmesan cream sauce with roasted heirloom tomatoes. 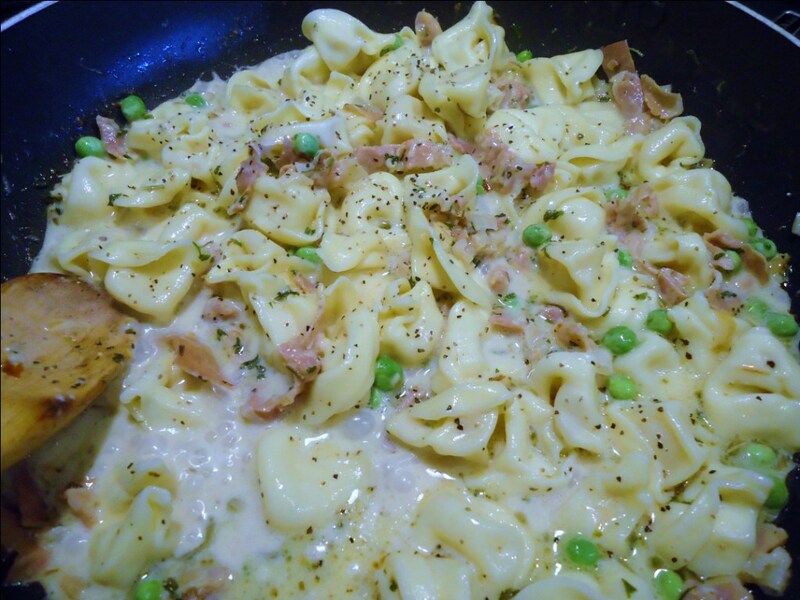 The stuff from the fridge: frozen sweet peas that Lily likes, shallots, cheese tortellini, prosciutto, heavy whipping cream, parmesano reggiano cheese. 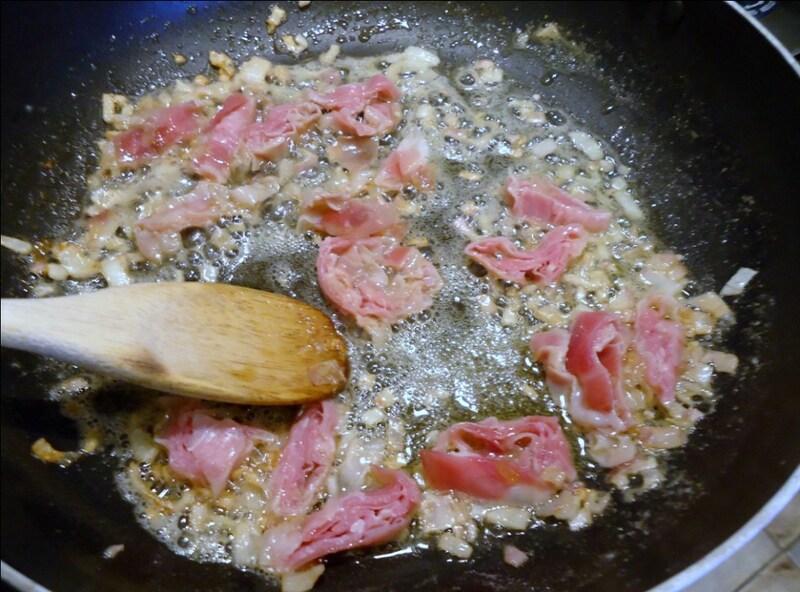 Prosciutto is an Italian dry-cured ham that is very thinly sliced. If you don't care for this, good old bacon would work just fine. The beauty of cooking is making something your own! 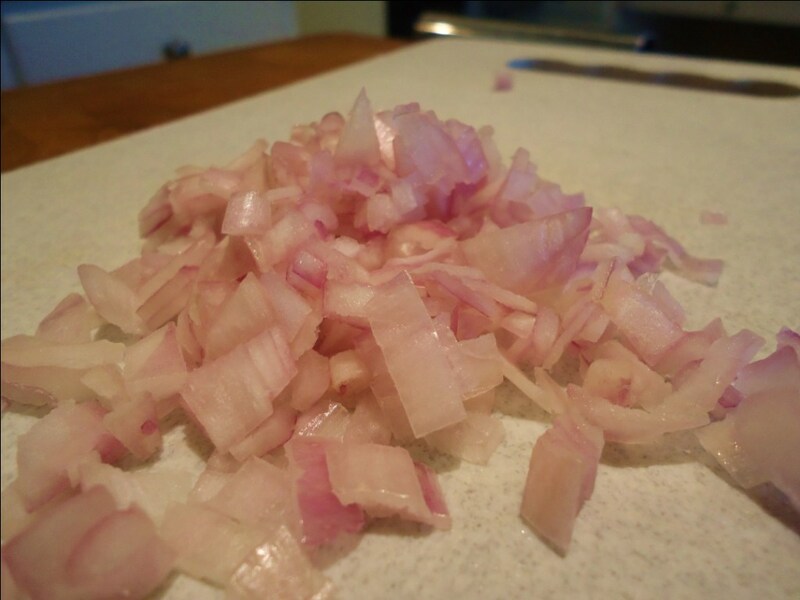 Just in case anyone is wondering, shallots are a variety of onion. They taste somewhat like a common onion, but have a sweeter, milder, and yet richer and more complex flavor... somewhere between an onion and a garlic. 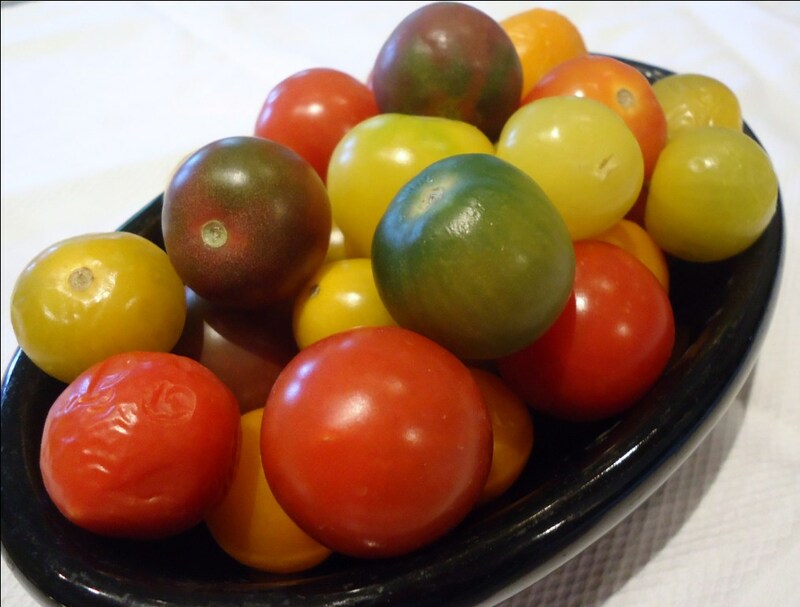 First, let's get the tomatoes going. Baby heirloom tomatoes. Aren't they gorgeous?! 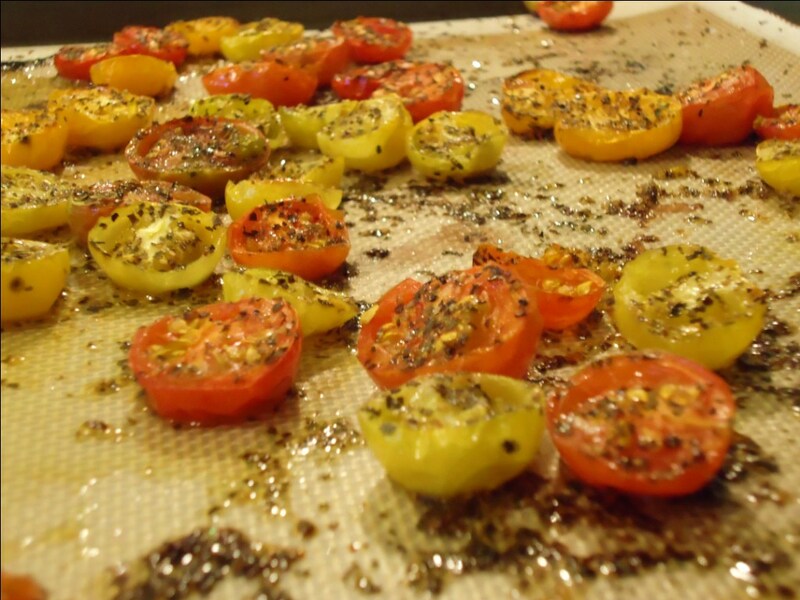 To roast the tomatoes - cut in half, sprinkle with extra virgin olive oil, salt, pepper, dried basil. 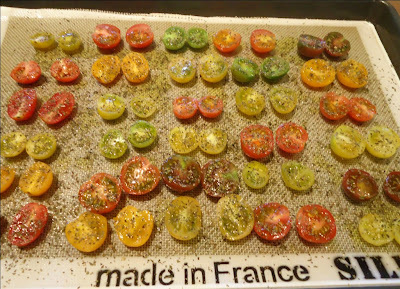 Pop in the oven under the broiler until they are roasted to your liking. This is what they look like after coming out of the oven. They are like candy! Yummmm! 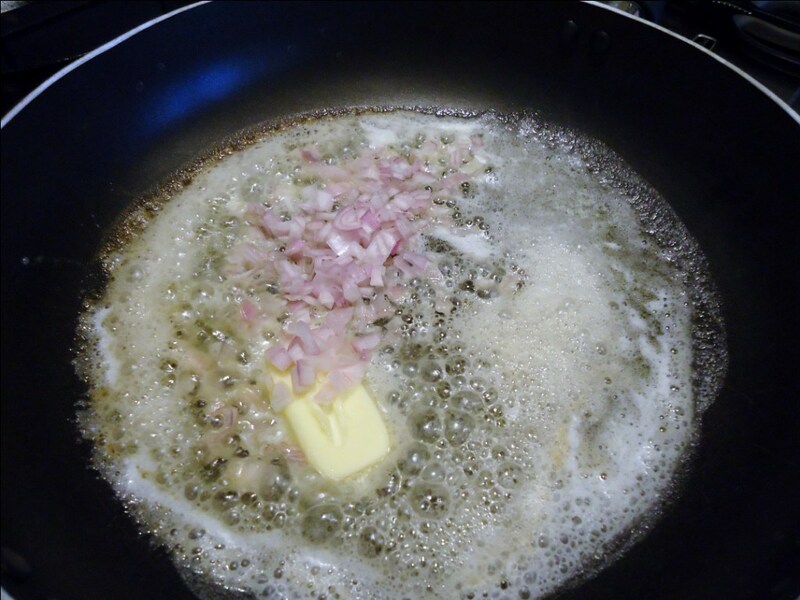 Saute' the shallots in butter for a minute or two. Add in the thinly sliced prosciutto. Next, add in some heavy cream. (I put about 1/2 pint). Season to your liking. I added Pepper, Italian seasoning, parsley, then grated some parmesano reggiano directly into it. Be careful here. You may want to hold off on adding salt. The cheese is salty. The prosciutto is salty. I didn't want too heavy of a sauce, so at this point, I added in some chicken broth from the fridge. 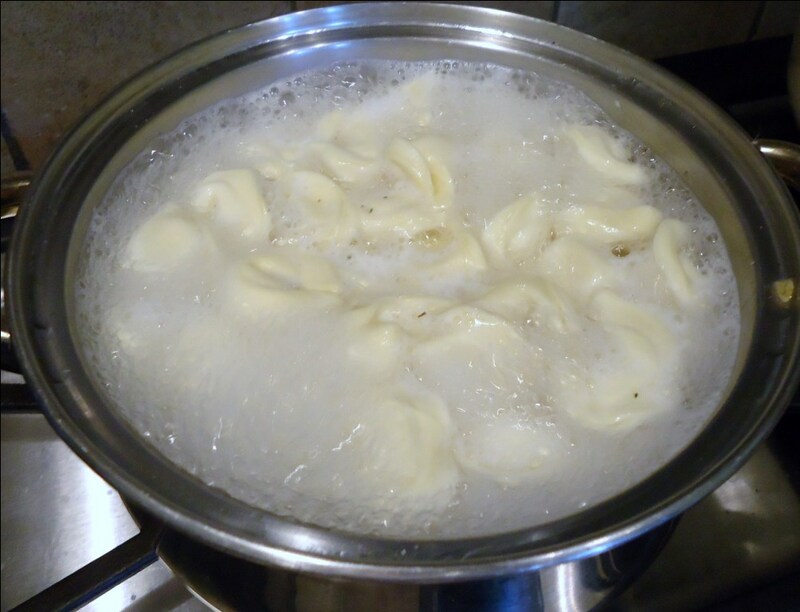 Boil according to directions (about 8 minutes). Just before it's done, remove about 3 big spoons full of the cooking liquid and add to the sauce. The starch from this will make the sauce creamy. Drain the pasta in a colander and add directly to the sauce. Do not rinse first. After adding the pasta, add a big handful of frozen peas. They will cook in about 30 seconds! Let this all simmer together just for a few minutes. The sauce will thicken a bit when you take it off of the heat. 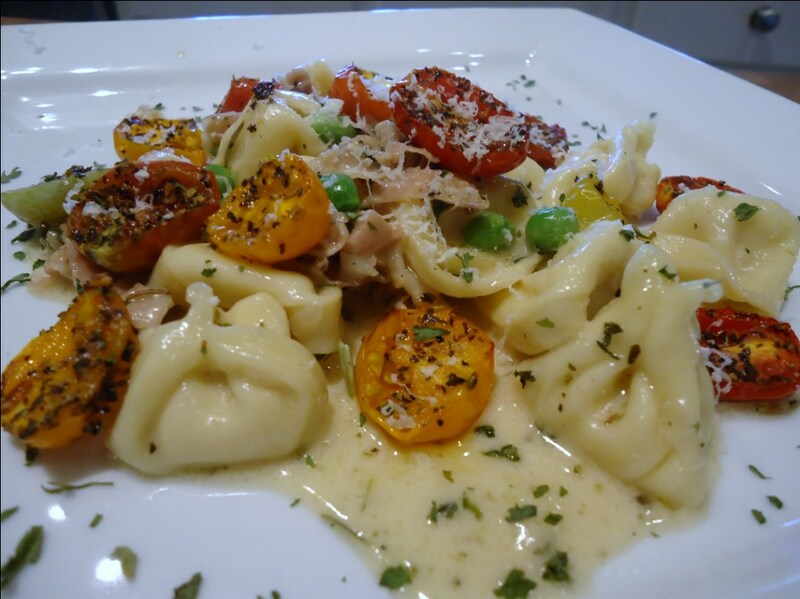 Serve the tortellini with some of the roasted tomatoes. The acidity of the tomatoes will balance the salty meat, the mild pasta, and creamy sauce. Garnish with parsley. Written Directions: First, let's get the tomatoes going.To roast the tomatoes - cut in half, sprinkle with extra virgin olive oil, salt, pepper, dried basil. 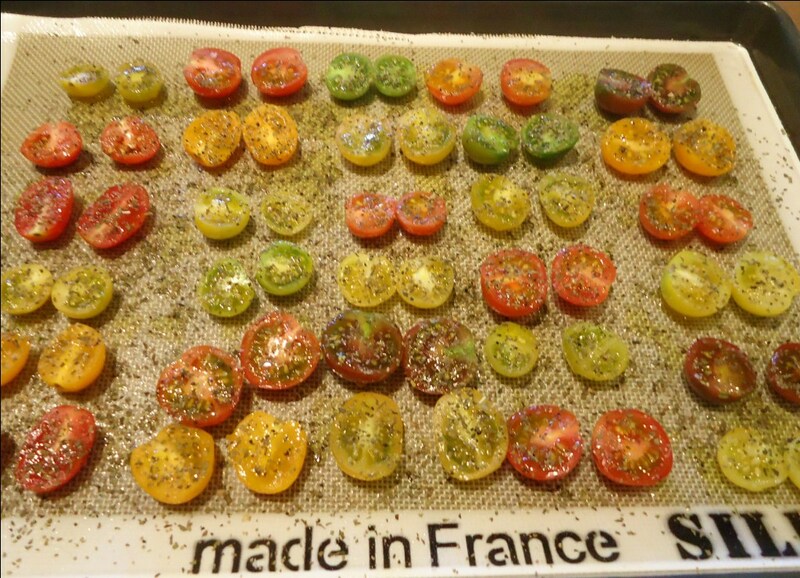 Pop in the oven under the broiler until they are roasted to your liking. Sauce- Chopped shllots. Saute' the shallots in butter for a minute or two. 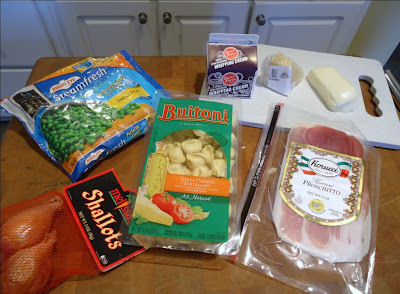 Add in the thinly sliced prosciutto. 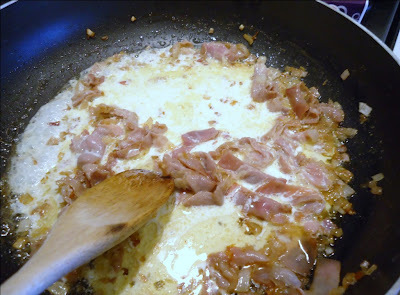 Next, add in some heavy cream. (I put about 1/2 pint). Season to your liking. 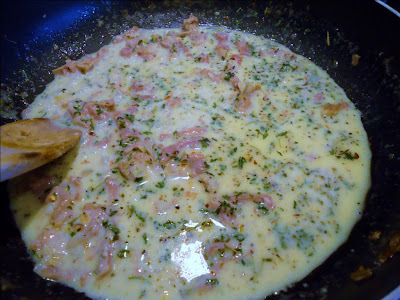 I added Pepper, Italian seasoning, parsley, then grated some parmesano reggiano directly into it. Be careful here. You may want to hold off on adding salt. The cheese is salty. The prosciutto is salty. I didn't want too heavy of a sauce, so at this point, I added in some chicken broth from the fridge. Pasta- Boil according to directions (about 8 minutes). Just before it's done, remove about 3 big spoons full of the cooking liquid and add to the sauce. The starch from this will make the sauce creamy. Drain the pasta in a colander and add directly to the sauce. Do not rinse first.